I’m lucky to live not far from the Eternal City, and that’s a good thing, because it could take an eternity to visit it all! I’ve been to Rome a number of times for weekend breaks, something that can easily be done from anywhere in Italy or flying in from the UK. Over the years I’ve written about a few of the things any art lover should do in Rome, so thought I would gather some of those here into an Rome weekend itinerary for art lovers. 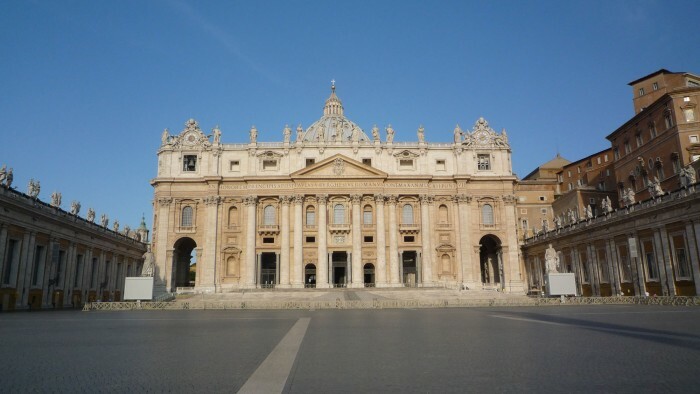 I think you can’t go to Rome without visiting the Vatican – not so much the church, though by all means do go in if you have time – but the museum. Crowds are crazy because the Vatican Museums give access to the Sistine Chapel by Michelangelo, which unfortunately is a bit of a zoo, and to the Stanza della Segnatura with its Raphael frescoes. 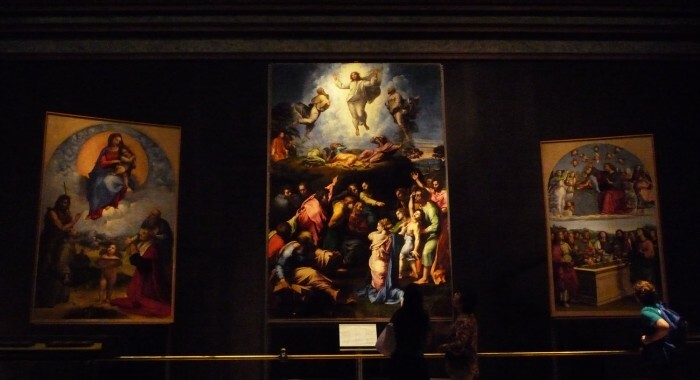 But the building houses so many treasures beyond its more famous parts, in particular the paintings of the pinocateca with works by Giotto, Perugino, Leonardo da Vinci (the unfinished St. Jerome in the Wilderness), and Raphael’s dramatic painting of the Transfiguration. If you’re wondering how to make head or tail of all this, I recommend attacking this museum with the help of the Arte Vaticana walk by Context Travel. Considered Rome’s bohemian left bank, the area of Trastevere’s rambling little streets, quaint hanging laundry and outdoor trattoria’s have become a strong tourist attraction. From an artistic point of view, on the way from the Vatican into the Trastevere area, I always love stopping at the Villa Farnesina, which was the pleasure villa of Agostino Chigi, a banker from Siena who managed to get Raphael to paint a really exciting loggia for him, in which he hosted extravagant parties. 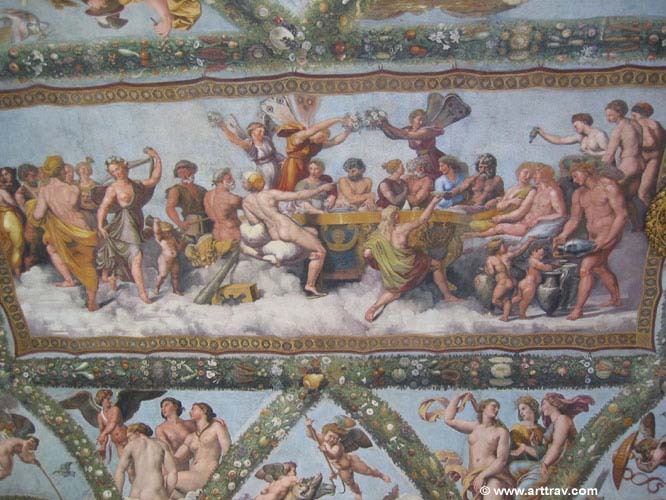 The ceiling overflows with naked gods and goddesses, surrounded by rudely shaped vegetables arranged in garlands. Upstairs, there are more titillating frescoes. Read more about this PG-13 rated building in my article Agostino Chigi’s pleasure palace: the Villa Farnesina. This huge building from around 80AD is one of the rare Roman structures that still has a roof, and it’s an almost miraculous feat of engineering. In fact, in the Middle Ages, it was thought to be the work of the Devil, but actually the Romans were using concrete, not black magic, to build it. The span of this dome, about half of an American football field, is the largest until the invention of reinforced concrete in the modern age. 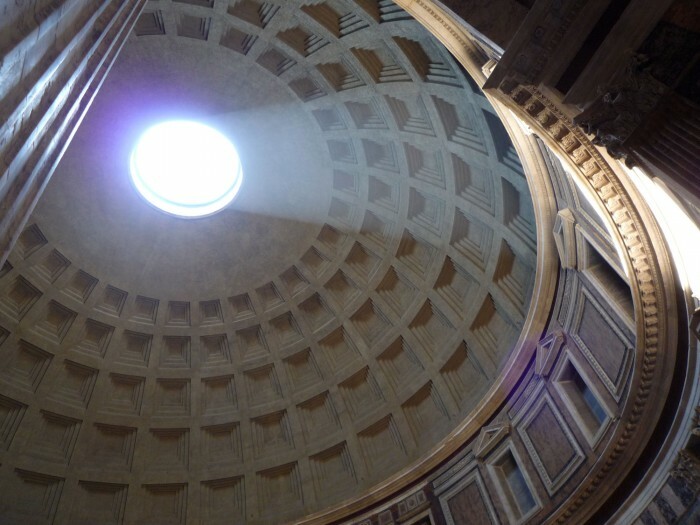 Find out more about how the Pantheon was built here. At the end of via del Corso, one of Rome’s famous shopping streets, is the wide oval Piazza del Popolo, with three churches on it – the twin churches of Santa Maria dei Miracoli and Santa Maria in Montesanto (often closed, observe from outside) and the large Basilica of Santa Maria del Popolo, an Augustinian church that contains a lot of important art from the Renaissance and early Baroque periods. When you enter, don’t miss the chapel on the right painted by Pinturicchio, the great Renaissance decorator who invented “grotesque” painting based on the strange designs he found in semi-buried Roman villas. 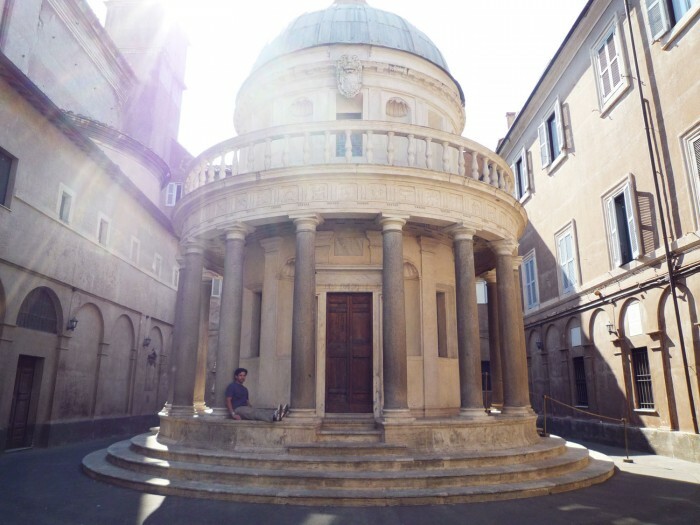 But most tourists head towards the altar, to the right of which is the Cerasi Chapel, with two important canvases by Caravaggio in their original location. The Crucifixion of Saint Peter and The Conversion of Saint Paul on the Way to Damascus are by Caravaggio; the central panel that depicts the Assumption of the Virgin is by Annibale Caracci. Step back and to the centre of this space to admire Caravaggio’s innovative use of perspective and lighting that renders the images comprehensible even from an extreme angle. 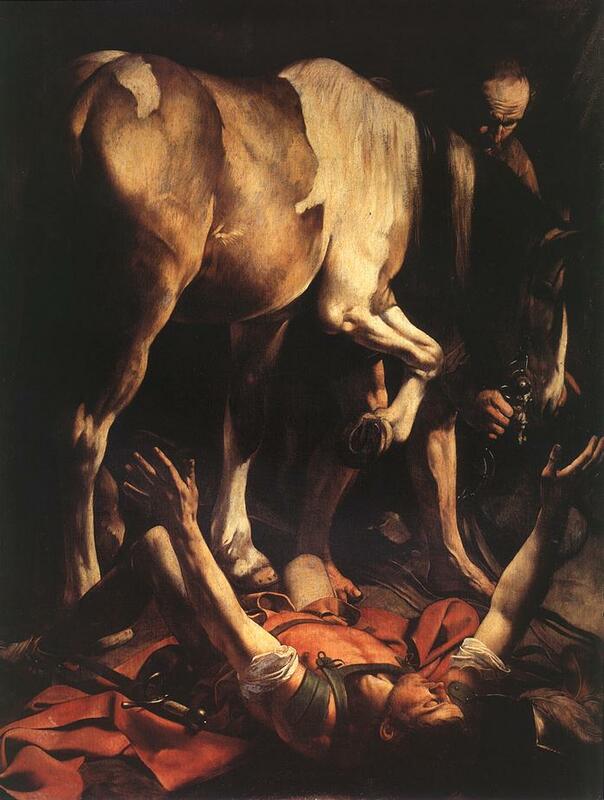 Read more about this and other in-situ works by Caravaggio in Rome. To help plan and find somewhere to stay – including a flight if you’re coming from outside Italy – take a look at the city guide and offers on Expedia.co.uk. For trains within Italy, remember that besides Trenitalia, Italo Treno runs through Rome with clean, new fast trains and often has low-cost deals if you buy in advance.